A wanderer and a cursed child. Spells and magic. And dragons, of course. Welcome back to the world of Alagaesia. It's been a year since Eragon departed Alagaesia in search of the perfect home to train a new generation of Dragon Riders. Now he is struggling with an endless sea of tasks: constructing a vast dragonhold, wrangling with suppliers, guarding dragon eggs, and dealing with belligerent Urgals and haughty elves. Then a vision from the EldunarÃ­, unexpected visitors, and an exciting Urgal legend offer a much-needed distraction and a new perspective. This volume features three original stories set in Alagaesia, interspersed with scenes from Eragon's own unfolding adventure. Included is an excerpt from the memoir of the unforgettable witch and fortune-teller Angela the herbalist . . . penned by Angela Paolini, the inspiration for the character, herself! 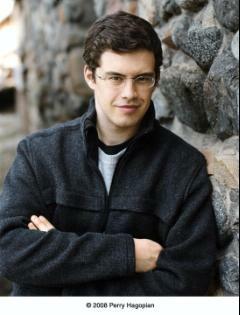 Christopher Paolini was born on November 17, 1983 in Southern California. He has lived most of his life in Paradise Valley, Montana with his parents and younger sister, Angela. As a child, he often wrote short stories and poems, made frequent trips to the library, and read widely. The idea of Eragon began as the daydreams of a teen. Christopher's love for the magic of stories led him to craft a novel that he would enjoy reading. The project began as a hobby, a personal challenge; he never intended it to be published. All the characters in Eragon are from Christopher's imagination except Angela the herbalist, who is loosely based on his sister. Christopher was fifteen when he wrote the first draft of Eragon. He took a second year to revise the book and then gave it to his parents to read. The family decided to self-publish the book and spent a third year preparing the manuscript for publication: copyediting, proofreading, designing a cover, typesetting the manuscript, and creating marketing materials. During this time Christopher drew the map for Eragon, as well as the dragon eye for the book cover (that now appears inside the Knopf hardcover edition) . The manuscript was sent to press and the first books arrived in November 2001. The Paolini family spent the next year promoting the book at libraries, bookstores, and schools in 2002 and early 2003. In summer 2002, author Carl Hiaasen, whose stepson read a copy of the self-published book while on vacation in Montana, brought Eragon to the attention of his publisher, Alfred A. Knopf, which is part of Random House. Knopf published Eragon in August 2003. Eldest, which continues the adventures of Eragon and the dragon Saphira was published in August 2005, and in December 2006, Fox 2000 released their movie adaptation of Eragon in theaters around the world.